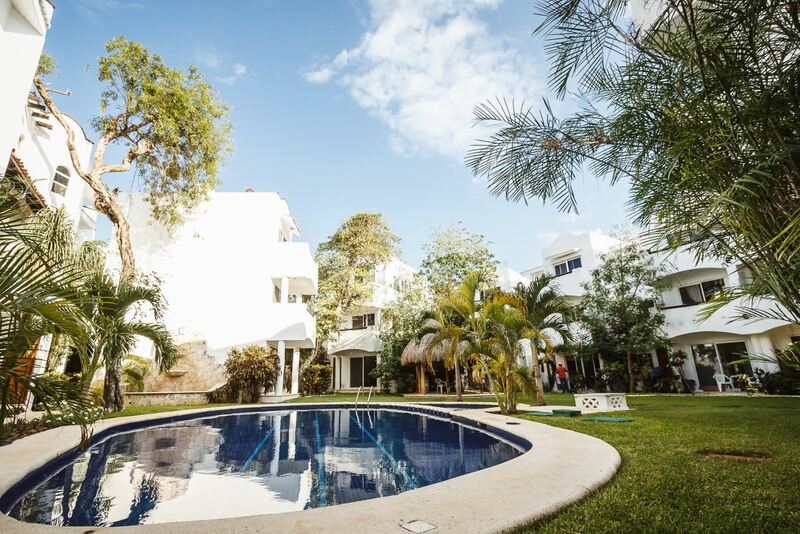 Welcome to Quintas Pakal, which is proudly managed by North American Standards (Nasplaya). 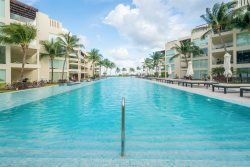 Beautifully furnished condo in Playacar, Playa Del Carmen near Cancun & Cozumel, Mexico, located on the Playacar Golf Course. Offers 3 bedrooms & 2.5 baths, w/ jacuzzi tub in master suite. Your condo is perfect for a sunny vacation, family reunions or a vacation with a group of friends. It has 3 bedrooms with 1 king, 1 queen & 1 full size with extra bedding available. Your Condo is just a short 5 minute taxi ride to the beach and 5th Avenue, a pedestrian walkway where you will find wonderful restaurants, hundreds of stores and tour guides to arrange your local activities. Or you can take a 40 minute ferry ride to the island of Cozumel. Nestled in the cul de sac on your private street, you will find the five star Hacienda Vista Real Hotel and Spa where you can book decadent spa treatments. You can feel comfortable in this gated community with professional courtesy patrols. Bienvenidos! Mi Casa es tu Casa. Area attractions include Cancun, Cozumel, & Xcaret: Your Condo is located 40 min. from Cancun. Xcaret is only 10 min away, Xel-Ha 30 min.The island of Cozumel is 30 min. by ferry. The Mayan ruins at Tulum 40 min. The famous ruins of Chichen Itza 2.5 hrs away. There are numerous fresh water caverns,called 'cenotes'(believed by the Mayans to be sacred and healing waters) for swimming and diving nearby. There is also a bird sanctuary 10 to 15 min walk away. Recognized as one of the top courses in the world, Playacar Golf Course is as challenging as it is beautiful. Renowned architect Robert Van Hagge designed the 18-hole, par 72 course. Its inspired setting is carved through dense Mayan jungle, awarding golfers with a competitive course surrounded by lush foliage and aquamarine waters. The Golf Club at Playacar offers the perfect combination of natural beauty and the work of man. This magnificent golf course, carved out of the dense Mayan Jungle is only a few hundred yards away from the crystal-clear, turquoise ocean and the fine white sands of the Mexican Caribbean Sea. The intelligent architectural design of the golf course has converted Playa del Carmen into one of the most popular tourism destinations in all of Mexico. The Golf Club at Playacar was inaugurated September 15th, 1994. This 7202 yards, par 72, is a championship golf course. Scuba Diving in Playa Del Carmen: Under the watchful eyes of the ancient Mayas in the warm Caribbean waters off the Yucatan Peninsula exists a truly amazing underwater world: here divers explore the reefs of the Riviera Maya swimming with turtles and schools of Tarpon. They drift along the coral covered walls of famous Cozumel Island named by Jacques Cousteau as one of the best dive spots in the world. And they discover the incredible serenity of daylight cavern diving in the famous Mexican Cenotes - the worlds largest fresh water system formed over 10’s of thousands of years ago. Pro Dive Mexico is a PADI 5-Star Gold Palm Resort Dive Center located in Puerto Aventuras, Mexico - providing top quality services. Whether your visit to this magical place includes your very first Scuba experience, a Scuba refresher course or participation in one of our exciting Wildlife Safaris, our professional staff is ready to provide excellent service and a most memorable experience.